Many users think WordPress is only a blogging tool. Well, that’s what it used to be like but now it can be used for literally everything! With plugins like WooCommerce you can build eCommerce sites with WordPress, you can also hire a developer to code custom themes for you if you want a unique site that isn’t just a downloaded theme! My site is built on WordPress and I made it by creating my own custom theme – do you need one? Get in touch today! You can make portfolio sites, membership sites, blogs, standard CMS sites, eCommerce sites, landing pages and oh my god the list is endless! With plugins like Yoast SEO optimising your WordPress site for search engines couldn’t be easier! Plugins like Yoast SEO help with optimising your content, creating sitemaps, adding social signals etc. Want to speed up your site? It could be as easy as following an article on speeding up wordpress but it can be a bit harder. If you have a heavy load site I recommend you hire a developer to speed up your site with browser side caching, server side caching, minification, server optimisation etc. Why does speed matter? Well, I recommend clicking here to see a brilliant article on how speed affects your website. WordPress is easy for the end user to use. If you go ahead and install it yourself you might feel there are a lot of features, but don’t worry! That’s where developers come in. A developer can simplify the WordPress backend so you don’t have to worry about all the scary features and you can just concentrate on your content! Interested? Let me know! For developers, it’s very easy to customise and develop WordPress themes and plugins when you know how to which is why I love doing it! With so many resources available you can build a theme from scratch as long as you have an idea of a design! Need a plugin? The odds are it’s already been made! But if it hasn’t, just get in touch with a WordPress developer who can help you out! WordPress is open source and many people and companies use it. That means there is a lot of support from others available! For example First Site Guides to WordPress is a fantastic guide for those who are starting out with WordPress and want some extra help navigating. There are plenty of other resources including books, videos and live events! 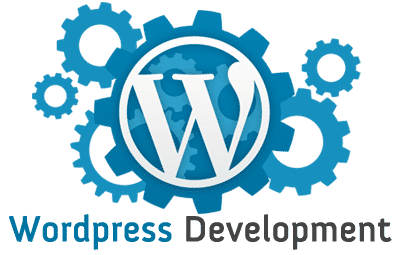 So those are my top 7 reasons for why I love using WordPress for development. Let me know what your reasons are and whether you agree or disagree in the comments below!